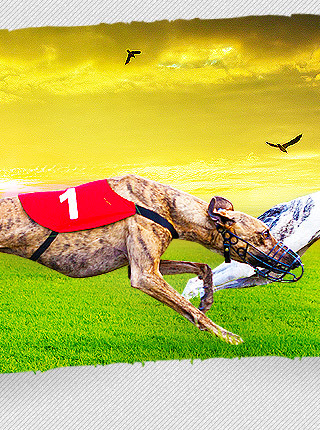 Greyhound racing tracks are the tracks where greyhounds race as a sport. The greyhounds chase a lure (a mechanical hare or rabbit) around the track until they arrive at the finish line. In many countries, greyhound racing is purely amateur and conducted for enjoyment. In other countries, particularly the UK, US, Ireland and Australia, greyhound racing is a popular form of sport, similar to horse racing. Greyhound racing tracks are usually oval shaped, though are quite a number of circular and straight tracks. 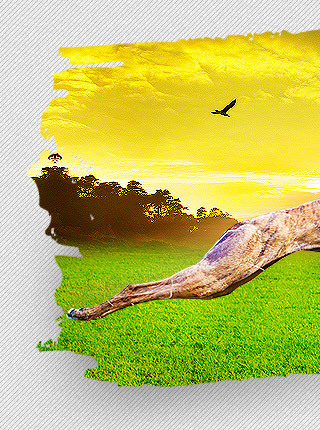 Grass used to be the preferred surface for greyhound tracks as greyhounds used to chase rabbits in grasslands. Furthermore, grass tracks looked good and provided fast races. On the other hand, it was too difficult and expensive to maintain, especially during the winter. Loam and cinder track surfaces were also popular in the past. Today, sand, or a mixture of sand and clay, is the surface of choice for many greyhound racing tracks. Kennels in greyhound racing tracks are usually made up of indoor crates stacked two levels (tiers) high, with the females usually kept on the upper level, and males on the lower level. While the space allocated to each dog varies between locations, typical crate size is 3-1/2 feet wide by 4 feet (1.2 m) deep by 3 feet (0.91 m) high. Modern tracks even provide air-conditioned kennels and Jacuzzi facilities for the greyhounds. 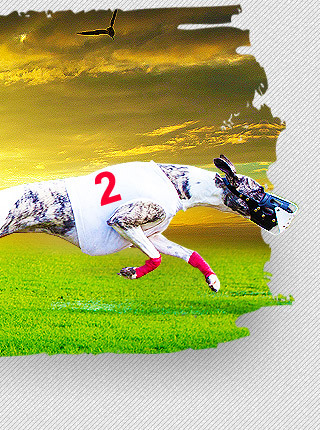 Greyhound-Racing.net, your comprehensive greyhound racing resource, provides information on greyhound raciang tracks in the US, UK, Australia, Ireland, Europe and New Zealand.